A great way to remove toxins, debris, and built up waste from your body, Utra GI Cleanse is a proprietary blend of Cascara Sagrada (bark), Rhubarb (root), Aloe, latex (leaf), Flax (seed), Marshmallow (root), Slippery Elm (bark), and Peppermint (leaf), and serves as a natural alternative for supporting colon health and elimination. Unfortunately, our bodies absorb many toxins such as metals, endotoxins (LPS), and other products, but with Ultra GI Cleanse, you can effectively eliminate and transport toxins out of your body naturally, helping you to feel healthier and more energetic. And compared to other GI cleansing products, our pills include Aloe Vera to give you a southing effect on the gastric mucosa, and minimizes gastric side effects which can occur when performing a cleanse. 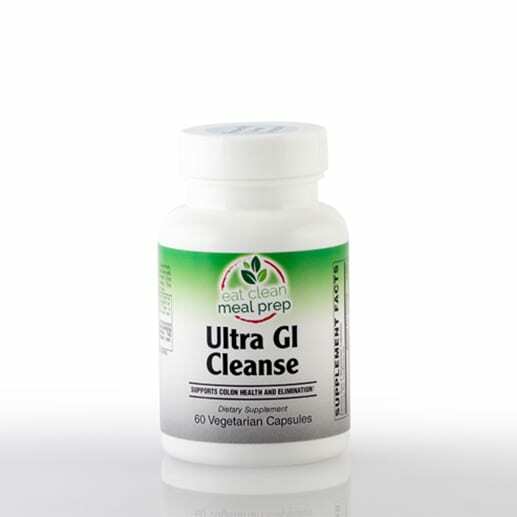 Unfortunately, our bodies absorb many toxins such as metals, endotoxins (LPS), and other products, but with Ultra GI Cleanse, you can effectively eliminate and transport toxins out of your body naturally, helping you to feel healthier and more energetic. And compared to other GI cleansing products, our pills include Aloe Vera to give you a soothing effect on the gastric mucosa and minimizes gastric side effects which can occur when performing a cleanse.